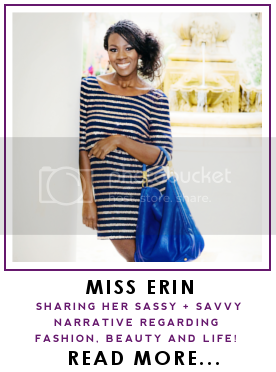 Miss Erin Says: Vanity Fair Social Club:"Into The Oscars"
Vanity Fair Social Club:"Into The Oscars"
Today I had the pleasure of attending a Vanity Fair Oscar discussion @Wework. The space is gorgeous and features an inspiring work space for creatives and industry taste makers. It was a pleasure to meet new people and catch up with savvy blogger babes in person. savvy sights and sounds to participate in including a Twitter vending machine that is right, payment for the savvy products was a tweet thanks to Grey Goose. I also had the opportunity to have my brows touched up in the beauty salon at the brow bar that was hosted by Loreal Paris and staffed with Glam Squad artist's. A highlight was the "Into the Oscars" interview with Colleen Atwood and Punh Hutton.If you are familiar with Atwood's work isn't her work mesmerising? If you aren't familiar with her name you are familiar with her work. Atwood is the creative behind the breathtaking costume designs featured in films such as Edward Scissorhands, Memories Of A Geisha.The Huntsman and is often found behind the scenes on Tim Burton's sets. Atwood is currently nominated for her costume design for Disney's Into The Woods starring Maryl Streep, Johnny Depp and one of my favorites Anna Kendrick. From pencil and paper to lights,camera,action Atwood's designs set the stage for film award season. She shared that this year she will be hitting the Oscars red carpet in a Dolce & Gabbana number.It was also revealed that her go to outfit is a pinstripe suit by Yves Saint Laurent.While discussing fashion and design she expressed her love for a great handbag and lets be honest I can identify with ANYONE who loves a great handbag. Atwood however, has taken her passion to a new level and launched a new handbag collection collaborating with an associate at Citizens Of Humanity. Her handbag collection is avalible for purcase by order here and great news she is open to branching out into ready to wear clothing in the future. Best of luck to Atwood my fingers are crossed in hopes that she will take home ANOTHER Oscar! Will you be tuning into the Oscars this Sunday? It was such fun, you will enjoy your day if you happen to see me be sure to say hello! I am on a countdown to teh Oscars! I am counting down to the Oscars as well Biana! I am officially jealous. Great post. It has been a fun week Thanks for your kind words! 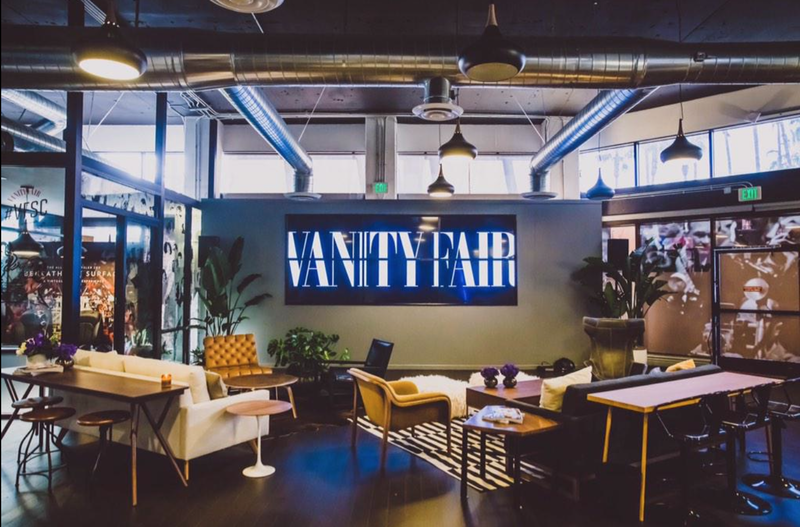 Thanks Jen this week has been a blast and I love getting to share a view inside the Vanity Fair Social club! What a fun event!! Swooning over those bags! I know right Shannon I like a new handbag line I'm there haha! This looks like such a fun event. I would love to be attending this! Thanks Melanie this week has been a blast and I love getting to share a view inside the Vanity Fair Social club! It has been a balst Mel! Looks like such a fun time! You look so lovely as well! Hope you had a fab time! Looks like so much fun!! Hope you had the best time! I've been having great time all week and it is awesome to be able to share my experience. What an amazing event, it sounds like so much fun! What a great event! Love these shots, Erin! Thanks Heidi I have been having a great week and I am thrilled for the Oscars! Thanks Jessica I hope you have a great weekend will you be watching the Oscars?